Vintage Energy has been formed in the midst of rebounding oil prices and an Australian energy and gas supply crisis. These market conditions are ideal for the acquisition of quality assets that can address the energy shortfall in Australia and provide shareholder wealth over an exciting and sustainable future. The Vintage Energy Team has a broad range of experience, with deep knowledge of the industry and financial markets, successfully guiding companies in difficult & buoyant commodity price periods. The team has a track record of innovation, success and growth. Vintage Energy is focussed on acquiring, exploring and developing assets in a sustainable manner that can significantly impact on energy supplies in Australia and generate strong returns for investors. Our strategy is to secure near term production, address high impact exploration targets and list on the ASX. The energy crisis currently afflicting the eastern part of Australia and more particularly, the natural gas supply crisis, have been the catalysts for the creation of Vintage Energy Ltd, with Reg Nelson (former Managing Director of Beach Energy) as Chairman and Neil Gibbins (former Chief Operating Officer of Beach Energy) as Managing Director. The Company has already acquired a portfolio of excellent gas exploration tenements in onshore Australia that are close to infrastructure and have the potential for rapid development and early cash flow. Oil potential in prominent onshore basins is also a key focus, particularly given the experience of Vintage Energy Ltd team members in discovering and developing oil fields on the Western Flank of the Cooper-Eromanga Basins in South Australia. energy company, respected by the industry, shareholders, employees and the public. 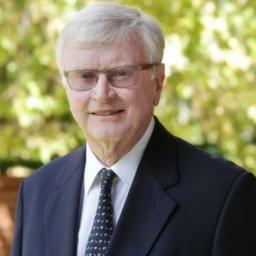 Reg Nelson has a long and distinguished career in the Australian petroleum industry and is widely respected within commercial and government circles, for his successful and innovative leadership. As Managing Director of Beach Energy Ltd, until retiring from the position in 2015, he led the company to a position as one of Australia’s top mid-tier oil and gas companies. He was formerly Director of Mineral Development for the State of South Australia, a Director of the Australian Petroleum Production and Exploration Association (APPEA) for eight years and was APPEA Chairman from 2004 to 2006. He is a director of highly successful petroleum exploration company FAR Ltd and has been a director of many ASX listed companies. Neil Gibbins has over 35 years of technical and leadership experience in the petroleum industry. He has been involved in many successful exploration, development and corporate acquisition projects. He is a well respected geophysicist with experience over a wide variety of regions in Australia and internationally. Before joining Vintage Energy in 2017, he spent 19 years at Beach Energy, commencing in 1997. Initially in the role of Chief Geophysicist, he was appointed as Exploration Manager in 2005, Chief Operating Officer in 2012 and acting CEO in 2015, leading Beach during its merger with Drillsearch Energy in 2016. Prior to his 19 years at Beach, he was employed by Esso Australia and Santos Limited, initially as a geophysicist and later in supervisory roles. He is a member of the Petroleum Exploration Society of Australia and the Australian Society of Exploration Geophysicists. Nick Smart has over 40 years of corporate experience, including technology start-up companies. He has participated in capital raisings for numerous private and listed natural resource companies. This experience includes commercialisation of the Synroc process for safe storage of high level nuclear waste, controlled temperature and atmosphere transport systems and the beneficiation of low rank coals. He has been a full associate member of the Sydney Futures Exchange, a senior adviser with a national share broking firm, and has had significant International and local General Management experience. 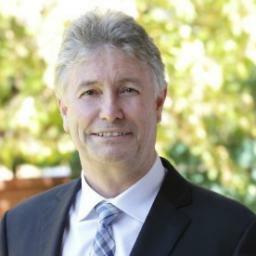 Nick has been on publicly listed company boards and is currently an Alternate Director for Maximus Resources Limited (since May 2005) and Flinders Mines Ltd (since 2009). 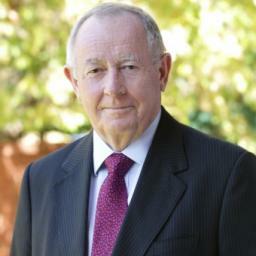 Ian Howarth created Collins Street Media, one of Australia’s leading resources sector consultancies. Prior to that he was the Resources Editor of the Australian Financial Review for 18 years. Ian also spent several years as a mining and oil analyst with Melbourne stock broking firm May and Mellor and was senior resources writer at The Australian. Major petroleum clients with Collins Street Media have included, the Australian Petroleum Production and Exploration Association (APPEA), AWE Ltd, Karoon Gas, Beach Energy Ltd and FAR Ltd, Ambassador Oil and Gas Ltd and Shell Australia. 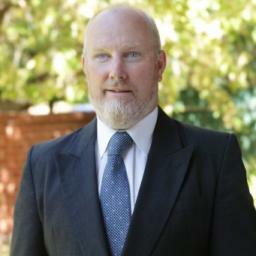 Ian Howarth’s expertise lies in marketing and assisting in capital raising. Ian has completed the Securities Institute of Australia Certificate in Financial Markets.